The Suunto Ambit is the first GPS device out on the market that’s very clearly targeted at ultra runners – and those wanting to go long distances for a long time, upwards of 50+ hours. Additionally, the device claims smoothed GPS paces using a new ‘FusedSpeed’ technology, as well as a 3D compass and barometric altimeter. But with all these new features, does the watch fail to deliver on some of the basics? And how does it fit into the scene for non-ultra runners? Well, I dig in to find out. Because I want to be transparent about my reviews – Suunto sent me a final retail unit to try out. Once I’m complete here shortly, I’ll send this back to Finland and then go out and buy my own (to be able to support y’all in the comments section down the road). Simple as that. Sorta like hiking in wilderness trails – leave only footprints. If you find my review useful, you can use any of the Amazon links from this page to help support future reviews. Lastly, at the end of the day keep in mind I’m just like any other regular athlete out there. I write these reviews because I’m inherently a curious person with a technology background, and thus I try and be as complete as I can. But, if I’ve missed something or if you spot something that doesn’t quite jive – just let me know and I’ll be happy to get it all sorted out. Also, because the technology world constantly changes, I try and go back and update these reviews as new features and functionality are added – or if bugs are fixed. So – with that intro, let’s get into things. The Ambit comes in a box roughly half the size of a carton of milk, with a generally non-glossy exterior. Once you remove the outer box, the inner box opens up like a clamshell, with the Ambit looking right up at you. From there you’ll remove the inner tray and find the Ambit manual below it (in what seems like 98 languages), as well as a credit card sized customer service card. Within the box that the Ambit itself is perched on, you’ll find the heart rate strap and charging cable (assuming you bought the version with the heart rate strap, otherwise just the charging cable). Then the product support help card. This is kinda interesting – I haven’t seen this idea in a while. But it’s handy and makes sense, also, by making it more obvious it’s more likely that folks having trouble will call the card, rather than just return the product. Next is the heart rate strap. This wirelessly transmits data to the Ambit using Suunto’s variant of ANT. Note that this is not compatible with ANT+. The Ambit as a watch manages to just squeak by in the category of ‘normalcy’. You can easily wear it day to day during non-athletic activities. And because it looks a bit rugged, it doesn’t stand out like many other brightly colored square GPS units. However, it’s often difficult to understand how it compares in size to other GPS units on the market – so I broke out the trusty kitchen rolling pin and put on a bunch of units that are in the same rough market as the Ambit. As you can probably see – the Ambit is amongst the higher units (thicker), though, it doesn’t tend to feel that way while wearing it. Note that in the case of the Polar RCX3 (unit to the left), it doesn’t include GPS inside of it, so it’s a bit thinner. Instead, it connects to a separate GPS pod. As a GPS unit, the first task that you’ll want to do is to get outside and let it grab a GPS fix. The first time I did this, it took about 60 seconds to find a fix. But on subsequent activities, it tends to be pretty quick if I’m in the same place I left off from last time – in some cases finding the fix in as little as 3-5 seconds. When I went down to Houston, it pretty much started back over again at 60 seconds. But then the next day while still in the same place, it was back to a few seconds. The GPS unit has what’s called ‘hotfix’ technology, which essentially places the satellite location into memory – enabling quicker location of satellites for future activities. The first step though in starting a run is selecting an activity type – in our case, running. As you’ll see later on, different activity types trigger different data views and settings. Once you’ve got satellites acquired, you’re essentially good to start running. To begin recording, you’ll press the start button again, which will begin display of data related to the run. As you run, your pace will display on the unit, as well as other metrics such as distance, time, elevation, heart rate and anything else you’ve configured. I go into detail a bit later on the full list of display fields. By default the unit will have an autolap set every 1KM (even if you switch to miles mode), but you can change this value as you see fit. Autolap will essentially create a lap marker at the predetermined time. This is primarily useful on longer runs where I want a quick check of my average pace over just the last mile. Or, the split for that last mile. For other sessions – such as interval work, I prefer autolap to be off, so that I can record the intervals as I specify them (by pressing the lap button). Unfortunately, there isn’t a way to turn this on/off from the watch itself. So you have to somewhat think ahead, or create different workout profiles (i.e. Running – Long, and Running – Intervals). But, back to the run. When you want to pause the unit, you can go ahead and do so by pressing the stop button – which will pause the activity until you’re ready to continue. This is ideal if you need to stop mid-activity at a stoplight or ice cream truck. You can see the paused icon up at the top of the watch. Once you press resume, the timer will resume. Suunto has introduced a unique feature to the Ambit, called FusedSpeed. FusedSpeed aims to utilize the unit’s internal 3D accelerometer to reduce GPS based speed fluctuations. The one item that many folks new to GPS units find out is that GPS based speed tends to fluctuate a bit. Different companies counter that in different ways – typically through simple smoothing (i.e. display a 3-5 second running average as ‘instant pace’). However, Suunto came up with a new method that looks at arm movement within the unit to determine if your speed is actually changing. There are many watches these days (and have been for a while) that utilize internal accelerometers as their only means for speed/distance (no GPS). Effectively, Suunto took that technology and applied it to smoothing the incoming GPS data. What is incredibly important to note here though is that FusedSpeed does not replace the requirement for GPS data – nor does it give you speed/distance indoors on a treadmill. This would easily be within the unit’s technical capabilities, but I suspect it didn’t make the initial firmware cut simply because it would have required an additional calibration option/routine – thus adding more development. In the future I’d expect to see utilization of the 3D accelerometer for more than just speed/distance on a treadmill. I expect them to do the same thing as the Motorola Motoactv where they just added over 40 sports that leverage the accelerometer to provide sport-specific data. Make no mistake, that’s the future of many sport-devices over the next 3-12 months – a carefully balanced merge between GPS and accelerometer data. Once you’ve completed your run, you’ll want to stop the watch by pressing stop. Then, you’ll hold the stop/start button for about 3 seconds to save the activity. After that’s complete, the unit will give you a summary screen that you can scroll through with final data for the run. While the Ambit wouldn’t be classified as a cycling computer by traditional standards, it does work just fine as one. The Ambit has a default cycling mode, which primarily serves to switch the display units from pace (typical running metric) to speed (typical cycling metric). Though, as I’ll show later on – this switch can be done for any sport you define. Of course, the bigger reason to utilize the specific cycling mode is that you can connect to the Suunto bike accessory pods. These pods add cadence (Cadence Pod) as well as Speed (either of the Speed Pods). Note that neither is required for display of speed while cycling, as GPS is used. Instead, this is primarily for indoor training – enabling you to record speed and distance. It’s also useful for those that would prefer to get speed information using the speed pod instead. 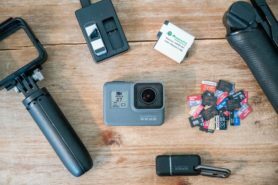 I talk about the different pods that are available later in the accessories section. Unfortunately, if you have a triathlon bike, you’ll end up likely having to mount it sideways – or pickup one of the various aerobar bike computer mount extensions, so it doesn’t look like the below. In cycling mode, you have the same display customization options as in running mode – which means you can continue to add up to 8 pages of display, with up to 3 data fields per page. You can then press next to scroll through these. For myself, I find that when using it on a bike I prefer to pickup a cheap bike mount kit. There’s a gazillion of these on the market today, but all of them cost $7 to $11. It honestly doesn’t matter which brand you pickup, since they all essentially just emulate a wrist, allowing the unit to easily wrap around the rubber block and in turn be secured to the handlebar. While indoor cycling, you’ll want to use the rear wheel bike speed pod. The front wheel one won’t likely do you too much good (except on rollers). Use of the cadence pod is optional. By using the speed pod and correctly configuring your wheel circumference, you’ll be able to display speed and distance data on the unit. As noted, be sure to use the Movescount site to change your wheel settings. Note however that this is set across all of your pods, and thus if you modify it and you have different wheel sizes, you’ll want to update it between changing bikes. Ideally, this would have been tied to a given sport – which in effect would have allowed you to create separate bike profiles for each bike you have (i.e. My Triathlon bike) with a different tire circumference than ‘My Mountain bike’. Perhaps in a future version. After your ride is complete, the data up on Movescount will be just as detailed as if you were out running. If you were outside, you’ll get full GPS data (as well as cadence/HR data if applicable). And if you’re indoors, you’ll get speed/distance data (again, assuming if applicable). And as I cover later on in the Movescount section – you can slice and dice the data in the same manner as running data. The Suunto Ambit is waterproofed to 100 meters, via the ISO 2281 standard. The unit claims water resistant for active swimming, though not for scuba diving uses. The Ambit can be used without issue in the water (though, they don’t recommend pressing the buttons while underwater). I haven’t had any issues with plenty of button pressing underwater, but your mileage my vary. The Ambit’s usefulness in the water though is essentially a glorified stop watch. The unit does not contain any form of swim stroke/distance/lap recognition. Though as I’ve mentioned elsewhere in the review – down the road they technically could utilize the accelerometer to do so (but I wouldn’t hold out on that happening in the immediate future). While swimming with it, it is fun to see the changes in ‘altitude’, due do the unit being submerged every stroke – resulting in higher water pressure while underwater. But as I pull just about an inch away – the reading drops out. Note that the heart rate strap itself is fully waterproofed, and as soon as you exit the water it instantly picks up your heart rate. This means that for triathletes there’s no issues wearing the heart rate strap under your triathlon suit, which is the standard/common practice for most triathletes. Also note that while the heart rate strap that came with the unit does not support swimming, you can/could use the Suunto Memory Belt – which will track HR data and store it in the strap itself, then synchronize to the watch afterwards. Though, I don’t have a memory belt and was unable to try it at this time. 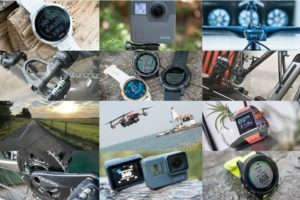 Like virtually all other GPS watches out there today, folks tend to find interesting/different uses for them – compared to what was intended. For example, I often go skiing with my GPS watches. And in the case of the Ambit, it does indeed have a skiing mode (which essentially just changes the data fields to focus on metrics more in line with skiing). I used the ‘Racquet Ball’ base profile, and then customized it from there. The only reason I did this is that it allowed me to keep the nifty paddle/ball icon. And while Dodgeball historically doesn’t have a paddle, it was as close as I could get. As you can see, I then customized the data fields to be more applicable to the game of Dodgeball. for example – heart rate seemed more interesting, and the stopwatch field would also probably be of use. I left out stuff like average pace or speed – because those realistically wouldn’t be applicable. The point being, you have a fair bit of customization, as you can see above. And in some cases – you may be creating non-sport profiles. In other words, the ability to track an activity that may not be sporty at all. For example, on my flight down to Houston this past weekend I let it record during the flight. It tracked everything from speed to the cabin-pressured altitude (hence why it doesn’t show ~35,000ft). I always think it’s fun to zoom in at the beginning and ending of the flight and see the taxi routes overlaid onto the maps. Probably only me that finds that fun. The irony of the above satellite image is that is indeed a Continental-now-United Boeing 737 pulling out of the same gate I left from (the flight I took always leaves from the same gate). Funny that it just happened to be there when the image was taken. The point of this section being you have a fair bit of flexibility in how you customize activities – something that most other watches simply don’t have. The Ambit has a barometric altimeter, which means that it can more accurately display altitude information – depending on whether or not said altimeter is correctly configured. In the case of the Ambit, you can (and should) set the initial starting altitude by using a known and correct elevation source. You can either set the original elevation via direct altitude (i.e. in feet/meters), or via known air pressure. Unfortunately, in my particular area (Washington DC), I don’t have very many big hills to work with for validation of attitude accuracy – an area I know many are concerned with. On the bright side, I’ll be down in Vegas in two weeks and plan to take a closer look at it then out in the mountains. Suunto does have a very solid history though as a company in getting elevation data correct. And the data I do have from some of my hillier runs does match fairly closely to the terrain and elevation data that I know to be correct. However, mountains tend to be a much better validation of those. The Ambit supports basic navigation between preprogrammed waypoints. When defining waypoints you can either define them in advance online at Movescount – or you can create waypoints on the fly on the watch (but only for the point in which you are currently residing). While doing this online, you’ll go into the Movescount site and then under the Ambit you’ll select the Waypoints section. Within that, you can select to create a new waypoint. This allows you to either define a given Lat/Long, or to simply use the map (driven by Google Maps) to zoom in and select a specific location. Once done, you can name the location. The map allows you to switch between standard street map mode, and satellite imagery mode. After you’ve named and saved your location – you’ll need to sync it to the watch. To do this, simply connect the watch to your computer and then wait for the Moveslink application to download the updated waypoint list. Once that is done, crack open your watch and open up the Navigation menu. From there you can view any of the waypoints – which are organized by when you created them, then subsequently by the name you assigned them. Once you’ve selected a waypoint, you’ll choose to Navigate to it. Note that you cannot add multiple waypoints for subsequent navigation. It’s a one-time, one-waypoint operation. The unit will display the degrees that you’re currently offset along the bottom, with two little arrows on top that disappear when you’ve got yourself perfectly aligned. Additionally, it will display distance to the location. When you get within .03 miles of the location, it will display ‘Arriving at [Waypoint name]’. Once you’ve arrived at the location and .00 is shown, it’ll simply display the small icon for the waypoint type (i.e. hotel). I went ahead and put together this super-quick video just to show you what it looks like as you rotate the watch and walk. Nothing fancy, but should help understand it a bit more. As I noted above – this is fairly basic, and ideally you’d be able to enter multiple waypoints (i.e. a track/course). Finally, note that you can create waypoints on the fly using the watch. To do this, you’ll go into the Navigation menu and then choose to save a waypoint. This will take your current location and save it with the name of your choosing. It will NOT allow you to specify a different set of coordinates to navigate to. In other words, if you don’t setup your waypoints ahead of time – you’re kinda hosed. The good news here is that Suunto will be adding the ability to manually add waypoints in the May 2012 firmware update – so that should resolve that issue (see later firmware update section). Also per request below, you can change the format to Mils for the compass, though it must be done via the Movescount site (online), then synchronized to the watch. Amidst the features most applicable to the ultra and hiking crowd is the unit’s 3D magnetic compass. This is different than many other GPS units that don’t have magnetic compasses and instead depend on track movement to determine your orientation. For example, if you think back to boy or girl scout camp, you could twist the compass while standing still and have it display the correct heading. Whereas a GPS unit without a magnetic compass would simply not know which way is north, since they lack a compass that can utilize the earth’s magnetic field. At all times, the unit’s compass is accessible – regardless of whether or not you’re in an activity. For example, if I’m just sitting at Chipotle eating a burrito, I can simply press the ‘Next’ button to instantly display the Ambit’s 3D compass. Pressing it again will give me the current temperature and barometric pressure, and pressing it once more will bring me back to time. Note that if I press the ‘View’ button, the small text below the heading will change between: Time, Nothing (empty), and direction (W, SW, NW, etc…). Through the configuration menu you can both calibrate the compass (the 3D aspect of it), as well as separately set a declination value, which is typically located on maps. In fact, when you first get the unit, it’ll have you walk through a very brief calibration procedure where you rotate the watch while level, 360°. Then you rotate it up on end, 90°. The Ambit displays and records temperature across all activities. The unit displays it both within specific data fields that you can add, as well as on the main home screen below the current heading. Nonetheless, this is definitely useful when you’re talking longer time periods with slower temperature shifts – such as a 100 mile run. One of the most sought after features of the Suunto Ambit is battery life, in particular – its claim to go upwards of 50 hours within 60-second GPS recording points. In this mode, the unit plots a GPS point every 60 seconds, instead of the more common 1-second interval (often defined as 1s). Below is a custom mode I created for an ultra run, which would last a longer time period with 10s recording and 60s GPS fix. Because I was actually using the Ambit every day over the past two weeks, I didn’t have a chance to take it out of commission for 2 days to test it out. However, upon publishing this tonight I’ll be turning it on with the GPS enabled and letting it hang out and seeing when it does run out of battery – similar to other longevity tests I’ve done. The best way to test the GPS battery life for upwards of 50hrs straight, is to simply turn it on and let it record until it drains the battery completely. So that’s exactly what I did. Previous to starting the test, I set the settings to a recording interval of 10s, and a GPS fix & recording rate of 60s (per the screenshot above). This is the ‘longest’ setting combination that the Ambit offers. Note that these changes must be done online via Movescount and then synchronized to the watch prior to heading out. I turned it on around midnight one evening and then placed it on my deck. 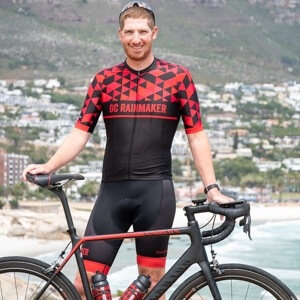 This ensured it had easy GPS access the entire time, not that it would matter – since in a typical 50hr ride/run scenario – you’d likely be in all sorts of overhead coverage conditions. Note that I did not add additional sensors such as heart rate data or cadence data, though, in my longevity tests with other watches those rarely affected battery life very much – if at all. Most of the battery drain tends to come from powering the GPS unit, then powering the display. At about the 20hr maker, I took it along for a run, since I figured it needed a bit of scenery change. The run wasn’t terribly long (only 40 minutes) – but it did illustrate what the recording interval looks like on a run where you have turns involved. You can see below the route the unit recorded, as well as the route I actually took. But if you’re doing a mountain bike ride at speeds of 15-20MPH with tons of turns, the data will likely be far less accurate and likely fairly short. In fact, in virtually every circumstance the data will be short – since it would be cutting off corners. But again, that’s the tradeoff to be made. I did notice that there was a fair bit of distance ‘noise’ as the GPS unit would record about 1 extra mile per day. This is actually fairly common in GPS receivers at this commercial level, and is just a function of the accuracy of the device deviating, and thus thinking its moving. The Suunto Ambit features a backlit screen that’s easily viewable while running at night (which, is when I do a lot of my runs this time of year). The backlight can be activated simply by pressing the light button – which turns it on for five seconds. I do wish however that there was an option to have it display for longer periods of time – specifically, until I turn it off. For me, in the middle of the night doing intervals the last thing I want to do is press the light button constantly. You can enable ‘night’ mode, which means that you can press just any button to get a light – but still, that’s kinda lame. Kinda cool that they actually put this in the manual! Probably the coolest feature of the Suunto Ambit is the ability to change the display fields online, and have it synchronize to the unit when you plug it in. Others (Timex and Nike+) have done similar things in the past, but none as graceful or as expansive. Once you login to the Suunto Movescount site you’ll go ahead and navigate to the ‘Gear’ section and then to the Ambit. From there, you’ll expand out the sport modes, and finally, the sport of your choice. Once within that, you can create up to 8 data pages (the most of any GPS watch I’m aware of), with up to three data fields per page. While this is a good starting point, I feel like for a watch of this price range, there should be more options around data fields. In my opinion – any data field that you offer should ALWAYS offer a ‘Last Lap Avg’, ‘Last Lap Max’, ‘Overall Avg’, ‘Overall Max’ option. One doesn’t have to utilize all these fields, but since the point of computerized watches is data display, allowing flexibility for what people choose is key in my opinion. Once you’re done selecting your data fields, be sure to save, and then validate it syncs to the watch. I’ve found that the best way to do that is to unhook the watch, and then re-connect it. This forces the unit to re-check Suunto’s servers. Otherwise, it’ll just sit there blissfully unaware of a pending change. Now, the only downside to the time Suunto spent on the awesome portion of the site is that you actually can’t modify data fields on the watch itself. Which is a pretty big bummer. This bit me a bunch of times when I wanted to change the data fields mid-activity or away from my computer, and was unable to. Note that you can scroll between the selected data pages that you’ve created of course, while in the middle of an activity. To get information on or off the unit, you’ll connect the Ambit to your computer (Mac or PC) via the supplied USB charging cable. This is also the only method for transmission of data (no wireless connection to the PC). Once connected, you’ll need to download the MovesLink 2 application, which is the small installed application that Suunto has developed that allows you to transfer data to the Movescount site online. Additionally, this application also can download firmware updates to the watch – like you see in the below photo. The Moveslink application monitors for connections to the watch, and once one is established it’ll automatically validate the connection and then upload your workout data to the Movescount site. Additionally, it’ll download any configuration options. This page features all of your most recent moves, as well as the activities of members that you may be following. Like other social networking sites, you can ‘follow’ various folks. And subsequently, I can see those following me. Let’s look at a single activity. I’ll do that by selecting it from the calendar (by clicking ‘My Moves’ at the top), or the latest moves on the right side. Once the activity is pulled up, I can view detailed information about the activity – such as heart rate data, speed, pace, distance, and where I went. Finally, as I noted earlier, you can track others’ activities, make comments on their activities and reply to comments made on yours. You can change the privacy settings to prevent this as well. To illustrate this, I found one reader had followed along and made a few comments as I was reviewing the unit – which enabled me to reply to the comments on the site. You can see this brief conversation along the right side of the below screenshot. Overall, the Movescount site is fairly well laid out and easy to use. I really like the integration with the Ambit as a watch, especially when it comes to configuration settings, which make it really easy to set on the computer, versus on the watch. Movescount enables you to export your activities via their site, allowing you to port them to a variety of applications – such as TrainingPeaks and others. Once exported, the file is in XLXS format (essentially a variant of Excel). I did notice however that when I exported to TrainingPeaks, it did not process the detail from the unit – only the summary information. Hopefully, they’ll look at adding support for the Ambit detail/sensor data in the future. Given the CSV format, most any application can support the Ambit (or Suunto products in general) – which is great news. The Ambit is compatible with a handful of Suunto accessories, supporting primarily cycling as an activity, as well as the heart rate strap. Note that if you bought the heart rate strap bundle with your Ambit, you’ll have the below strap. If you didn’t, you can buy the strap separately. It’s important to note that Suunto accessories utilize the Suunto ANT variant, and not the more common and ubiquitous ANT+ standard. Thus, Suunto accessories are NOT compatible with ANT+ devices, and vice versa. The heart rate strap enables you to display and record heart rate data. The strap snaps together on both side of the pod, which has a coin cell battery (which should last for close to a year). The battery can be replaced easily, at only the cost of a new coin cell battery. You can specify heart rate strap pod use on any activity type, as well as skip it if you’re not wearing the heart rate strap that given day. After the completion of the activity, heart rate data is viewable on Movescount. You can display straight HR values (BPM), as well as EPOC (an estimated measure of oxygen debt), energy (aka Calories), an estimated VO2 value (in ml/kg/min), Respiration, and R-R. Note that like all heart rate straps, there tends to be a dependency for a bit of moisture for the most accurate readings. While the vast majority of my readings were correct, I did find a few incorrect spikes at the beginning of an occasional workout – where the strap wasn’t wet enough. For those, I’d suggest picking up some simple $5 HR gel – which ought to solve the problem. Or, just lick the strap. The DuoBelt HR strap (which also supports legacy analog treadmills) costs $80 and I’ve received confirmation from a reader that the Duobelt strap does work with the Ambit. The rear wheel pod enables you to record speed and distance while indoors on a trainer. The kit also includes a bike handlebar mount for the watch itself. The primary two components of the kit aside from the handlebar mount is the transmitting pod and the spoke magnet. The transmitting pod attaches to your bike frame at a location of your choosing near the rear wheel. The magnet is then attached via a small flat blade screw driver to a spoke (you can see the upper pod in the below image is the speed pod, with the spoke magnet just above it). Be sure to configure the correct wheel circumference within Movescount for your particular bicycle wheel (in millimeters). Otherwise, indoor speed/distance will be inaccurate. However remember that indoor speed/distance on trainers is really a function of resistance and gearing applied. Which means that I can change my gearing without adding any more effort, and subsequently change the speed of the trainer from 10MPH to 20MPH. Again, without any effort. The speed/distance is recorded to the unit and is then visible both during the activity on the watch itself, as well as afterwards on Movescount. And of course, you can always use this outdoors instead of GPS – though, there tends to be very little benefit to doing so for most applications (i.e. non-track applications). The bike pod kit (rear wheel) costs $60 and includes the handlebar mount as well. Technically, you can put it up on the front wheel – though aside from recumbents, I’m not sure why anyone would willingly do that. The front wheel speed bike pod is primarily designed for Suunto’s non-GPS units, though, it does work just fine with the Ambit. Normally this pod is used for recording distance outdoors where a GPS unit isn’t used. But with Ambit having a GPS, the front pod isn’t terribly useful – especially since indoors you’d want the rear pod for a trainer wheel. Note that like the rear-wheel pod, this also comes with a watch mounting block for your bike. Now, only if they could have done something like this for the rear wheel instead – that would have been much cooler. Again – I wouldn’t recommend getting this pod unless you really don’t trust the GPS unit outside. In which case, I’d question why you’re spending $500 for a GPS watch that you don’t trust the GPS of. Nonetheless, it’s available for $50, should you wish to buy it (though it doesn’t appear to still be available as a kit as pictured above). The Bike Cadence Pod enables one to record cycling cadence with the Suunto Ambit (and all Suunto devices). Cycling cadence is measured in RPM’s (Revolutions Per Minute) and is simply how many times per minute the crank arm rotates past a given spot. Most cyclists aim for about 90-95RPM, though for varying situations you might have higher or lower cadence. This pod has two components – the first is a small magnet that simply attaches magnetically to your crank arm. There are no zip ties or other adhesives holding it on – just pure raw magnetic power (thus far, mine hasn’t fallen off). Once you’ve got it installed, you’ll go ahead and pair it through the settings menu. Then, each time you prepare to start a cycling activity the unit will search for the Cadence Pod before starting. Though, you can skip this if for some reason you’re on a different bike. Finally, the data will show up within Suunto’s online site as Movescount.com. Additionally, you can display data within the watch by adding the cadence data field. And yes, those max cadence values were correct – it was part of some spin-up drills I was doing. The Suunto bike cadence pod costs $60. While the footpod is NOT compatible, I really wanted to call it out up front. Partly to draw attention to the fact that it’s not compatible so folks don’t accidentally purchase it like I did. And partly to prod Suunto into adding support for it in one of their planed firmware updates. But, for those not familiar, typically Suunto running watches support the Suunto footpod – which is unique in that the latest edition actually transmits BOTH ANT+ and ANT (Suunto variant). This means that it’s compatible with Suunto units (again, not the Ambit at this time), as well as other ANT+ units (i.e. a Garmin). In other words, if you’re looking at picking up an Ambit down the line, but have a Garmin today, and want a footpod – pickup their version instead of the generic Garmin one. Usually folks buy a footpod in order to enable indoor treadmill running. Sure, you could simply look at the distance on the treadmill – but if you’re collecting data (or transmitting it to a coach), being able to look at speed/distance information over the entire course of a workout (which could include a slew of intervals/sets) – is fairly valuable. The only bummer here is that the Suunto footpod is twice as expensive as the Garmin one – despite being almost the exact same item (all these companies simply rebrand the same footpod, made by Dynastream in Asia). As I note in the next section – the rumor mill is pretty clear that support is going to happen in a subsequent firmware update – though Suunto has no comment as to exactly when (or even if). Other than that it won’t be in the May 2012 update. Finally, a quick note about ‘FusedSpeed’ (I cover it in detail earlier in the running section) – this does NOT provide for indoor treadmill running speed/distance. This is merely for GPS fluctuation reduction. The Suunto footpod costs $65, though again – it’s NOT compatible at this point in time. As noted earlier in the review, firmware updates are simply uploaded to your watch using the Moveslink application – and usually only take a minute or two. In my mind the Suunto Ambit has a very clear target audience – one that Suunto itself is marketing very specifically to (ultra runners and some segments of the hiking crowd). The challenge is that many want the watch to be more than it is, and thus I fear folks outside of Suunto’s target audience will purchase the watch without taking into account the target audience as of April 2012. Today, as noted, that target audience is ultra runners who need a solid barometric altimeter and ultra-long battery life. For these folks, the Ambit is indeed a really solid watch. Physically, it’s very durable, and functionally-wise, it’s what many people have been asking for. Unlike many GPS watches, I feel confident I could take some spills with this in a rock garden and it’s gonna come out just fine and dandy. The glass face is set into the bezel a fair bit – allowing for it to be dropped on concrete without breakage (something I’ve already done accidentally). Further, the magnetic 3D compass offers clear navigational support to those looking to navigate between waypoints. So who is this watch not for? Well, triathletes. The reality is that the many different features that most triathletes want aren’t there today in the watch. That’s not to say that they won’t be there in the future – but as of now and until at least September (2.0 firmware update) – that’s where things will stand. For example, there’s no multisport mode (ability to quickly change from swim > bike > run). There’s also no support for swimming, either openwater or lap/pool swimming. There’s no quick release style kit to enable moving it from the swim to bike to run. And, there’s no power meter support for ANT+ devices (or any power meters). It’s also not for the casual runner. At $500 it’s five times the cost of a basic GPS watch (Soleus GPS 1.0 and Timex Marathon GPS), and four times the cost of the cheapest GPS triathlon watch (Timex Global Trainer). There are quite frankly cheaper watches with more features on the market today than the Ambit. In fact, if you objectively look at pure feature quantity – the Ambit has less features than virtually every GPS watch cheaper than it (Polar, Timex, Garmin, Soleus, Nike, Motorola) – most of these at half the price. But, it does excel in very specific areas that others do not, notably battery life and more controls around altitude data. – Does not support ANT+ accessories at this time. Firmware Update as of Nov 2012 added this. With that, hopefully I’ve given you enough information to decide whether the Ambit is a fit for your needs. Hopefully you found this review useful. At the end of the day, I’m an athlete just like you looking for the most detail possible on a new purchase – so my review is written from the standpoint of how I used the device. The reviews generally take a lot of hours to put together, so it’s a fair bit of work (and labor of love). As you probably noticed by looking below, I also take time to answer all the questions posted in the comments – and there’s quite a bit of detail in there as well. If you found this review helpful in your purchasing decision, you can support future reviews like this by using any of the Amazon links (unit or accessories above). If you’re overseas, I’ve got links to all of the major individual country Amazon stores on the sidebar towards the top. Finally, I’ve written up a ton of helpful guides around using most of the major fitness devices, which you may find useful. These guides are all listed on this page here. so it is not a training tool…. Great review as always Ray! – Long battery time, can be used as a watch without risking running out of battery. One note, it is possible to get the complete training XML file and export to other training programs, the file is located in “c:\users\\AppData\Roaming\Suunto\Moveslink2” after moveslink has synced the watch. For swimming, one can use the Suunto Memory Belt, just as for the other Suunto watches. For gym equipment as well as for example the high-end Tacx trainers (like Bushido) use the Suunto Dual belt which simultanously transmit both ANT and analog signals. A major thing, not mentioned here, is that although R-R recording is done, there is still no support for Ambit in Firstbeat Athlete, simply because Suunto haven’t released any SDK for Ambit yet. so for the time being, I’ll stick with my Suunto T6c. As always, a really excellent review!! Otherwise, just a thought on a feature that i’d like to be added and i know it is not implemented yet having asked the guys from suunto. Recording every 60s for a 50h battery life is a trade-off that ultrarunners are ready to make. But during those 60s the watch is not tracking the variation in direction and i think it is very important that the watch is avle to complement the GPS with accelerometer in this period to display a more accurate distance in the end. In mountain especially, you spend your time turning right and left to reach a summit so in the end without this mechanism, the distance data may end up inaccurate and i guess this is an issue that might be addressed with a built-in accelerometer ! Also, i wonder how movescount manage 50hours recording track (more generally big sized tracks). Connect.garmin.com is not able to upload big files … What about movescount ? Thanks again, really good work! For what pertains to the temperature (which is also used to calibrate the altimeter), it is pretty awsome to have it recorded ! Which program can read XML? I use Sporttracks and I have to download the XLSX file, clean it a little and then convert it to CSV in order to use it in ST….Although Sporttracks are looking to create a direct import for the ambit which would be awesome. You can access waypoints during exercise, just press the next button for 2 second when you have started your exercise and then you reach the menu where you can choose navigation. I really like the watch but coming from Garmin FR I miss interval and workout support as well as ANT+ support. Quite incredibly that they don’t even have a simple timer in it…. Thank for the depth what we expect & waiting for, the watch battery with 50hrs gps mode in 60sec fix, but i saw some said , the watch only able to record 15hrs workout ? Hi Ray excellent review, just one question, it it possible to transfer historic activity data between Garmin Connect and Movescount? In the summary table which specifies the watch functions it looks like the watch has interval support, but in the cons section of the review one of the cons is that the watch lack such support. Since this is a pretty “nice to have” feature I wonder wether it provides some kind of support for interval training? I also wonder whether the training programs provide distances and typees of training or if it’s more similar to my Polar FT80 watch that just suggest number of minutes within each HR-Zone. Loved the review… You 1-upped yourself again. Looked at Amazon and its $500 big ones. Can’t afford it. But that’s alright because I don’t really love running that much. More a biker. Thanks for the review Ray! Much appreciated. Thank for review , the moves count can show workout in KM instead of mile , degree celcious instead of farient height ? Good to hear that it works, I’ve added a note about it. Perhaps I’ll pick one up and try it out. I saw the XML file as well, but in the handul of applications I tried, it would not accept/process it. I haven’t heard of issues recording beyond 15hrs. However, I started my ‘long recording session’ last night after publishing, so will definitely post results after 50 hrs. I’m not aware of a method at this time. No, the written text was correct with just a typo in my table. I’ve corrected the table. There is no interval support. Yup, no problem at all. In fact, by default it’ll be in metric. Hi Ray, thanks for the review. Looking forward to the long battery test but what I am most interested in is how long the log can be if recording 10s altitude/HR and 60s GPS. For some reason Suunto cannot answer this. When connected to a portable charger all of the buttons work and screens work on the Ambit. FYI I tried my memory belt yesterday with the watch and it works. This could be a potential option for the triathletes as it will record swimming HR in its own chip and then once out of the water record in the watch. No multistory mode makes it less useful for triathletes. It is ideal for me as I am an ultr runner and run in the mountains often where there re no trails. I tried a 910XT bit could only get the altimeter to work about 1/3 of the time. The Ambit is much better for this. For other software, I know that Neotrack for the PC will import the XML files and provide GPS export. For the Mac, rubiTrack will have an update soon tha will sync the XML files and export tcx files, which work just about everywhere. 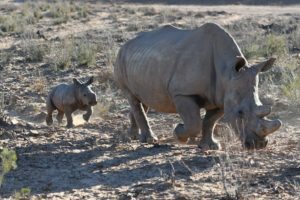 With regards to getting the exported CSV file into training peaks (and potentially other programs), try this link out. I have a Suunto Quest, and have tried uploading the data into movescount with no luck and found that solution a few days ago. I have not been able to test it out yet, but maybe that will work with the Ambit? Just a note to say thanks for your time and effort in making such a balanced and usefull review. That’s a Mavic Wintech skewer/sensor; either re-badged or sourced from the same manufacturer. Suunto strikes me like SRM, over-priced and under-featured to most, but fills a niche and has a loyal following. Maybe it’s a European thing? I was going to comment more on the Training Peaks option. I have been using Training Peaks for many years and thought I would include some excerpts from recent emails. I am quite disappointed that they will advertise support and then be rude to their users who inquire regarding compatibility with devices they list as compatible. I was a Premium user until recently. I sent this support ticket. Suunto may have changed the format of the exported file so we’ll have to update our xslx parser to accommodate that change. It may be a few weeks before we get that rolled out. In the meantime please upload the .tcx files you’re producing. If you’re getting an oops error, try dragging them into the main window of Device Agent and uploading them that way. I was using rubiTrack to export Suunto files as .tcx to use with Training Peaks. I sent the above in on Feb 14th. Then I sent this in over a month later. I submitted a support ticket copied below that has yet to be resolved. I canceled my Premium Subscription and I must say I am quite disappointed. I have a Suunto Ambit arriving tomorrow as well. Will you support this model? Will you support Suunto? As of now, csv/xlsx file import from Movescount is completely broken and has been since my request. If you will support Suunto, I will reinstate my Premium Account but I think you should provide me with a month free to compensate for my inability to upload even though you advertise compatibility. I am happy to send you Ambit xlsx files and be a beta tester/helper. I do like TP and think it is the best out there. I thought this was reasonable and I was not overly nasty regarding the lack of support. In fact, if TP would have said they will get to it even though it would take time that would have been fine. Here is the next reply. You submitted that ticket after the code freeze for our last update. We don’t make on-the-fly changes to production code as that has a tendency to result in buggier code. Everything has to go through a round of testing before it’s pushed to our live application. We’re close to the end of our current cycle so if this is going to be fixed this time around it should happen soon. Please note that Suunto does not inform us when they change their format. Our import was working fine until they did. They also don’t let us know what changes they’ve made, we have to reverse engineer it from a format without a standard associated with it. This takes a lot of development time for a relatively tiny portion of our userbase so where that time gets spent depends on what is currently slated for development. Sounds like they are fairly uninterested in supporting Suunto. Whether they support Suunto or not is up to them, I am not suggesting they do, from a business standpoint it may not be worth it. What I think is unacceptable is that TP ADVERTISES SUUNTO SUPPORT when they do not in fact support the devices. This is blatantly inappropriate. Sorry to rant, my 2 cents worth. A long-time disappointed TP user. great review. Regarding the XML file format produced by Ambit, Neotrack can read these files and import most of the info. We’re looking into the XML data support for Ambit, but I’m not sure if/when we’ll be able to manage building in direct support. Great review. I appreciate all of your effort. The one thing I can tell you is that Movescount is awful compared to Garmin Connect. Keep up the good work. A couple question regarding navigation/compass. Can you switch it from lat/long into utm coordinates? And with the magnetic compass, can you correct the declination? Or does it do this automatically? Christina: A couple question regarding navigation/compass. Can you switch it from lat/long into utm coordinates? And with the magnetic compass, can you correct the declination? Or does it do this automatically? Compass declination is configuratble in the watch and via movescount.com. Thank you for this great review. There is one thing I have encountered which gives me a problem and that is calibrating the speed sensor (for bikes) with the tyre/wheel circumference of my indoor cycle spinner/racer. Ideally, I would like to take this down to around 900 to 950mm but 1000mm is the lowest Movescount will allow it to drop. By dropping this value, it will fall in line with the on-board bikes computer, and thus be accurate not only with the speed but also the distance, too. Suunto rightly claim that if you set up a bike sensor to act as an outdoor speed reference – then this takes over the GPS. So, what is the point in having a calibration figure (mainly for indoor use) when it can`t be reached? apart from that and the lack of foot pod intergration, I`m a happy chappy! Wich is in your opinion the best watch to use in hiking, running, skitouring? I have several Ambit XML files sitting in my inbox and SportTracks will be adding direct import support for these files in a week or so. Our upcoming online & mobile product will also support these files (along with all the other formats SportTracks currently supports). Great review of the Ambit! You did neglect to mention the recovery time option that the Ambit has. I have had the Ambit now for a few weeks and am thoroughly enjoying it. Myself and a few other users have been bantering back and forth on Movescount regarding the suggested recovery time and whether it is realistic or not. One of my workouts which was just over an hour of intense spinning suggested a recovery time of 64hrs. I thought that was excessive but after taking a day off and then going for a run 46 hours later my legs felt like lead. So perhaps they are not far off in their recommendations. Thoughts??? I am looking forward to what upgrades they do in the future. I would like to see the integration of interval timers as well as support for Triathletes in merging swim, bike, run. Yes it may be expensive but it’s loaded with goodness! One question (a bit off topic): How do you get a constant, stable GPS fix throughout your flights? I end up having to sit by a window, keeping my wrist (Forerunner 310XT and Garmin Globat Trainer) very close to the window, and still often lose the GPS signal. As a Ambit owner and professional guide, I can safely say the Ambit is also well targeted to the outdoors mans or hunter or anyone that needs a navigation watch in the back country. I also can see military applications. Rainmaker. You shouldn’t refer the Garmin 610 as Courses/Tracks following capable. At least without a note refering – not the way you’d expect; or half cooked feature. Also I would like to say to people worried with battery life of other watches in Ultras, there is a simple solution: an emergency USB AA batteries charger. The size of a ligther you can carry in your pocket. Depending on yout watch you can even charge it on your wrist or on you backpack in 2 hours and back to the wrist. I had the Ambit on my wrist and it’s gorgeous. A few things are missing but if Suunto implements tracks and workouts the right way I’ll send my half backed Garmin 610 courses down the drain. Garmin is such a stubburn company regarding changes and upgrades…. Suunto is showing great awarness here. A beatifull platform full of potential. Let’s see if they can fully squeeze it!!! Can you show a photo of it showing Mils. I’m a keen runner and MTB’er but also do Army Part time. Having a watch that I can use for both is great. Having MGRS displayed and also the ability of Mils for the compass is great. But from what I believe the watch itself doesn’t show mils, can you confirm? Ray, thank you for the great review! I looked at a few random runs published at MovesCount.com. I noticed that it shows average and lap speed in km/hour everywhere. Do you know if the site can be configured to show the pace (min/mile) instead? Also I wonder if the FusedSpeed helps in any way to measure distance on mountain trails with a lot of switchbacks. My Garmin watch seems to be “cutting corners” on forested trails and ends up measuring less than the actual distance. I wonder if Ambit works better in this situation? Great review! How long did it take to upload your moves to moves count? I’m trying to figure out if my slow upload speed (minutes vs seconds) was due to a temporary slowdown in my Internet connection or due to the added gps data stream. after each activity do we have to upload it to the ambit, how about in case when we cannot get to the computer before the next activity, will the ambit allow multiple activities uploaded at once? After receiving an email from Suunto that the Ambit was now available, I remember an earlier post stating that you’d received a unit for review. Par for the course, the review was extremely thorough & appreciated; glad to finally see some love for Suunto. Sadly, because of the lack of interval & split functionality, I will be sticking with the t6d. Hopefully, Suunto can find a means of creating a hybrid between those two timepieces. got my ambit on monday but moveslink2 does not accept my email-address of movescount account? what can i do? I’m just using with this watch for a few days now and it became already my favourite over my previous Suunto Observer. Uploading multiple activities at once is no problem. You can set one alarm. To be able to set up detailed training plans, i.e. with different paces or heart rates and distances within the same run. It should bepossible for the watch to control the entire run including sprints, recovery, warmup, cooldown etc. Nice review as always. Just a comment – I do not think this watch needs to replicate a Garmin 610 or 910. Those are fine choices for runners (I have a 610 and like it fine) or triathletes (what does the 910 NOT do for you?). What the Ambit ADDS is a great choice for those of us who prefer to run / bike in places, on routes, less traveled (off paved roads where the world is already entirely mapped and the only choice is how fast do I want to run, what is the structure of my workout, etc). The Ambit has the potential to be a much better tool for runs / mtn bike riding where mapping and navigation are as much a part of the record as HR and interval sets. The functional baro/altimeter, awesome 3D compass PLUS body performance measurement is what makes the Ambit unique, and the things I want to see improved are the navigational and course/route capabilities. Yes I have full-feature Garmin handheld mapping GPSs that work great, but not that fit on the wrist and do all the athletic function too. I guess it would be great that one device did everything (so we don’t need to buy 2 “watches”), but I’d much rather have the offroad tools optimized than yet another standard toolbox device. Just my $0.02. As an aside, I emailed Suunto at the address Ray provided and they actually sent a response within a day! I have to follow up on the Training Peaks issue I posted. Their customer service was exceptional, I was contacted immediately and the developers managed to get Ambit uploading in the release the next day or two. The Ambit is now fully functional with Training Peaks and I applaud the customer service. I re-purchased my Premium Account. A note here, the Suunto .xlsx file does not contain the gps data so that will not upload to Training Peaks. If you have a Premium Account you can import the gpx file and Training Peaks will merge the Ambit HR/Altitude/Speed data with the gps data. How to get a gpx file from Movescount? Neotrack on the PC will do this and rubiTrack on the Mac will have this available very soon. so there are no problems anymore with the compatibility to TP? Would you please describe, how to get all the data (distance/GPS/HR/Speed/altitude) to TP or even to WKO+? I would be very pleased to get this information because I’m looking forward to buy this watch. Thanks for the review, very helpful as always!! I’m an ultra-runnner that has had the chance to spend a couple weeks now with both the Suunto Ambit and the Garmin 910, in fact using both on the same run in a couple cases. I thought I would offer a few more thoughts on items that I haven’t seen mentioned much in the comparisons so far. I’ll note that I am a trail-only runner, more remote and rugged the better, so that probably biases my views a bit. I will also add that I have about 3 years worth of trail runs in Garmin Connect, so resistance to change for me is high. 1. Looks. About as non-functional an issue as you can get, but hey it does matter to some people. The 910, though much better looking than previous models, still looks like a wrist-top computer on my arm. The Ambit looks like a serious piece of outdoor gear. In fact, with the dark face turned on, I think it looks pretty darn cool. They definitely convey two very different images on the trail, for whatever that’s worth. 2. Normal Watch. The Ambit can absolutely be used as a day-to-day watch. Though big, it looks great, and the battery life is no problem. Also, I haven’t seen any mention about the nifty “sleep mode” that it has. If it is sitting stationary for a while (e.g., on your nightstand at night), the screen goes to sleep. As soon as you pick it up, it wakes up (presumably using the accelerometer). Very cool. 3. Comfort. Maybe it’s just my wrist, but I find the Ambit wrist strap quite uncomfortable. It is significantly thicker and stiffer than the 900’s. I happen to be right between two adjustment holes, one cuts into my wrist, the other slides around too much. This is compounded by the fact that the Ambit feels significantly heavier. I’m hoping that Suunto releases some additional wrist strap options in the future! 4. Barometric altimeter. I am actually curious why the ultra crowd is making a big deal about this feature. The odds of me (and probably a lot of runners) manually calibrating the barometric altimeter are slim. Personally, I have logged hundreds of thousands of feet of vertical gain/loss using a Garmin 405 with great results. It tends to be very accurate on “up the mountain, down the mountain” type of runs, less so with rolling trails of 50′ up and downs. 5. Other Ambit omissions. There are a few other glaring Ambit omissions that seem like easy fixes. Hopefully they make them! How about a 30sec (or 15, 30, 45) record intervals for better accuracy vs. battery life choices? 50 hours is excessive even for 100 milers, and 15 hours is an awkward length, at least for me. No auto-scrolling of the data pages. Manually messing with buttons on a technical trail can be a challenge. Also, no data fields for total ascent or grade!? And while I’m at it, will somebody please start displaying grade in feet/mile (500′ mile rather than ~10% grade)!? It’s a simple math calculation for the watch, and it seems to be the more common vernacular for trail runners nowadays. So which will I personally be using long term? I still haven’t decided. Functionally, it seems like a no-brainer for the Garmin. But the Ambit is just such a cool watch! Like to ask can the Ambit perform better in the water for an Open Water swim? Hello and thank you for an excellent review. I bought myself an Ambit. Look at this picture. I ran together with a friend having a 310XT (right image). The tracks is really spot on for the trail on that. On left (blue tracks) you have the ambit. Not accurate at all… This is my general opinion for the ambit. Seems to measure quite short. Maybe it can be resolved with an update. I dont know. Dissapointed. Thank you! That was very thorough and educating. Keep running! Heres another track another day. Not very flattering for the Ambit. Oh, it should be Ambit left and blue. I’ve done some additional 910 vs. Ambit tests as well (identical runs with both watches). I’m consistently finding that although the tracks match almost identically on Google maps (in Connect and Movescount respectively), the Ambit is consistently coming up a bit shorter on distance. However, I am consistently seeing that the Ambit does much better with small elevation6 fluctuations. The 910 has a lot of “noise” that adds up over time to equal additional, inaccurate elevation gain/loss. I have images of the elevation profiles if anyone’s interested, but I’m not sure how to post/share them here. Yes you are right! The my ambit and 310xt can match very well for some track. But even then the distance is still not the same. Ambit always shorter! I exported my tracks as kml files and imported to google earth. And voila, the distances matches much better! 10km turns to 10.2km, 5km becomes 5.1km and matches the garmin. There must be a problem just with reading track in some way! Please please mr DCrainmaker. Can you have a look on this? Regarding the comparison against the Garmin (red and blue tracks) – make sure that the Ambit is setup with the same recording interval as the Garmin. I charted a flat, open, relatively straight street course, measured 5.0 km in Google Earth. Used iPhone 4s (Motion-X GPS app), Garmin Etrex 30, Timex Run Trainer and the Ambit to measure the distance. Walked the course at a brisk, constant pace. The Ambit was the least accurate at +200m. The Garmin and Timex had the best match (within 1%). The Ambit track looked like a drunken sailor in Google earth, zig-zaging quite a bit, compared to the much smoother and more accurate Garmin and Timex tracks. The iPhone was only slightly better than the Ambit (+170m, very wavy track). It is fair to say that distance-wise the Ambit is the least accurate GPS watch and/or handheld I owned in the last few years. Not compatible with a footpod nor ANT+, no vibration alerts, no intervals, no workout download? Unbeliable. Very nice, too expensive and for me its absolutely useless for running for that price. I’ll continue enjoying my garmin FR610. For those with track-issues, can you validate/note your recording interval on the Ambit? The Garmin by default will be ‘smart’ recording, which is every 3-5s (and sometimes as frequently as a second). Or, it can be setup in 1s mode. The Ambit can be 1s or up to 10s or even 60s mode. In those situations, as I noted above, you’ll see exactly what you’re describing. But when in 1s mode, I’m seeing time after time that the Garmin’s and other watches are exactly the same (or within a few hundreths of a mile). are you sure that suunto foot pod mini is also compatible with ANT+. I have a suunto T3d but want to buy the MOTOACTV and would be fine to have a foot pod compatible with both. By the way do you know any watch nice looking compatible with ANT+ and swim resistant? I’ve really been enjoying reading your in-depth reviews of these watches, Ray. As a computer scientist that’s crazy about stats and details, I can really relate to your writing style. I have narrowed down my search the Garmin 610 or Suunto Ambit, but I can’t seem to make up my mind. I realize that you will probably say they’re for different uses, which is true. I am only a casual runner / cyclist at the moment; who knows what I will do in the future though! Do you think the suunto ambit is worth the extra $150 or so over the Garmin 610? Thanks for all your hard work reviewing these items. Take care! Not DCR, but I have both, like both, and either would work fine as a GPS watch for running. The Ambit is not a full-featured training watch for run workouts, but that may/will change as they roll out firmware updates. The main reason right now to prefer the Ambit is if you want more accurate elevation data. You have to decide if it is worth the extra cost. Just came across your blog it is very informative, thanks! I do have a issue I like to MTB and road cycling but I am thinking of doing triathlons. I need help choosing the correct watch for me as I have never had one with a GPS or HRM. I have narrowed it down to the FR610 and the Ambit. Ambit – does not have all the training features the 610 has. But it looks cool and I like that it will be updated. you can take it on the swim with you (open water), but not sure this will help if it does not pick up HRM in the water anyway? Between Garmin FR610 or suunto ambit, that mainly depend of your activity. I am an avid runner and I absolutely love my FR610. Its fully charged with great tools for runners. Suunto ambit looks even cooler than Garmit and you can take advantage of temperature, barometic or more accurate elevation readings and its waterproof for swimming, but for me and my running training, so far, suunto ambit is not a great choice. Firmware updates??? We’ll see, but for the price, not at this time. One other point – if you want a watch you can wear while swimming, or thinking triathlon is in your future – then neither the Ambit nor the 610. You want the Garmin 910XT. Thanks for your comments. In regards to 910 it is a bit large I like the fact that the other watches can be used as a normal watch. I’ve had the Ambit just one day but I’ve been poking at it and playing with it quite a bit during that time. In the past I have bought several of Suunto & Garmin’s other products. ANT+ I’m familiar with the differences. ANT is the radio protocol and ANT+ builds on ANT and defines specific device protocols for different classes of devices. See: link to thisisant.com The R-R measurements that you need for EPOC justify your own ANT protocol for HR Monitors. However, for things like power meters where you do not have a product and will not have a product and there is a fairly large number of 3rd party vendors who have implemented it, it is worth adding support. logbook of high/low temps and scroll through pressures & temp with hour interval. (Missing X9i feature) How cold was it last night? How much has the pressure dropped; do I need to be concerned? The ability to review more than the last exercise. GPS corrected baro. It would be REALLY REALLY nice if you could use the GPS altitude and the accelerometers to allow the Ambit to keep track of the barometric pressure when in motion and trigger “weather alert alarms”, if the pressure falls suddenly in relation to the change in GPS altitude. Swim mode similar to Garmin’s using accelerometers — what else can we do with these? Golf mode – I don’t play Golf but it seems like the HW platform could be adapted to that analysing swing and courses could be downloaded to tell the user how far to the hole or something like that. Send waypoints between devices – enter once then send to another using ANT. I think it is the FIT protocol. Cycling Auto-calculate wheel diameter for different bikes based upon GPS when the signal is good. Cycling Odometer for various bikes as determined by the Bike Pod sensor the Ambit sees. It would be a great step if you could add the ability to do advanced workouts the way that Garmin does. I was wondering about the batterylife if it is only used as a watch. It says 30 days, does it hold up to that or is it better or worse?? Great review. I am primarily a marathon runner and I have done some ultra running. I wear BOTH a Suunto t6d and a Garmin 310. One for the detailed R-R data and the Garmin for the GPS. I got the Ambit so I could narrow down to ONE watch, but that isn’t going to happen with the Ambit. You can get to the XML file on your PC (or Mac) and you can import that into something like NeoTrack that will convert it to a GPX file for GarminConnect.com. But currently, you cannot convert either the XLM or XLSX file to a SDF file that could be read by HR analysis software. Probably a computer programmer could figure that out, but I am not a programmer. It is VERY annoying that I cannot get the R-R data, so now I am wearing BOTH a Ambit and a t6d. I do wear the Suunto Memory Belt but it has a 10 second recording rate compared to the 2 second interval on the t6d and the 1 second interval on the Ambit. The 10 second interval is insufficient for HR analysis. I wonder if Ambit measures distance in 2D or 3D? In other words does it take elevation changes into account when measuring the distance? This seems to be important for activities with steep terrain like hiking, mountaineering, and ultra running. Anyone who used Ambit on moutain trails with steep terrain and a lot of tight switchbacks, how does Ambit compare to Garmin watches in terms of distance measurement? I want to say it is 3D. I have noticed that the Ambit appears to measure actual distance covered and not just horizontal distance like the Garmin or other GPS-only devices. I am seeing a different net distance in my routes as a result. Kind of cool. Still wish I could get the R-R data. The Ambit showed 46.3 miles at the end and the 910xt showed 48.3 miles. I believe the distance reported by 910xt is closer to reality. I will have the opportunity to test them side-by-side in ultra races over the next three weekends and will report back. Thanks for really good article and review! It helps me so much!!! Great job! Many thanks!!!! To those readers who looking at distance comparisons between 310/910 and the Ambit, the reason Ambit reads shorter is it is actually correctly measuring distance around a corner/shrouded area whereas the 310/910 will be drawing a straighter line (which will always be longer). Ambit distance is the one you should be going off, Garmin is reading too long. Has anyone figured out how to stop the log? I am finding that when I hit “pause” it is actually still logging in the background and when you upload the activity it has this huge blank spot in it (the amount of time you paused) and it then calculates that dead time into the overall activity’s training numbers. The manual says you can stop it by hitting “pause” and then the “back” button, but all that does is give you the option of saving and closing the activity or deleting it. So while the MovesCount analysis considers all of that pause time, interestingly when you upload the data to Garmin, Garmin knows your were paused and ignores that time. The actual example is that if I ride my bike to work and hit “pause” for 9 hours, and then resume when I cycle home, it really makes a mess of the analysis. Just the opposite, correct? The shortest distance between two points is a straight line therefore the Garmin is more accurately reading corners. No, the Ambit is reading a series of points along the circumference of the turn. The Garmin is reading points less frequently and therefore chops off small amounts of distance…incorrectly. Imagine a curve at at the street corner. The Ambit “follows” you around the corner. Also, there is an aspect to Garmin that is a pain. It acquires satellites and while you think it is OK, it really is not. It will indicate it is ready even though it only has 4 satellites. After about a mile it has 20 or more and becomes accurate. This is why when you first start your run with a Garmin, it will be rather off-course for the first mile. The Ambit is more fussy about it and more accurate. You can see this process on the Garmin by clicking “settings”, then “gps” and then and then “satellites”. You’ll get a little bar graph that shows the number of satellites and the accuracy at that moment. You can see it acquire more satellites and get more accurate. The Ambit does all that a LOT faster than the Garmin. The number of satellites beyond the minimum isn’t so much what improves GPS accuracy, but rather the geometry of them. Ideally you want them nicely surrounding you evenly as possible. Hy Rey, thank for great review. With Ambit it’s possible shows the number of satellites fix at the moment and the accuracy of the GPS signal? You are wrong. The straighter line will of coarse be shorter. Garmin will thus measure shorter and Ambit longer, which never happens in a test. Something is wrong in the suunto coding always measuring to short then..
Hi, thanks a lot for the review. You mentioned above you used the watch to track GPS during flight. During take off and landing this is not allowed unless the flight captain allowes it. Did you turn it off during that time, or asked the captain? Please excuse any spelling mistakes, as I am not a native speaker. Thanks for the review, very thorough! How large are the figures in the fields? Many buyers of heartrate watches are older and their sight is not quite what it was, but the figures are usually made for 20-year-olds. I wear sunglasses when running and can’t read the watch until I stop and change to reading glasses – and I’m not the only one with that problem! Re gps flight: Does it matter wether he asked for permission or not? Come on! And apart from that, the gps signal will be there even if the flight crew wants it or not, it wont disappear just because someone turns off a Reciever… a reciever. Sit down beause this is not great, …. Infact if you had a Polar or a Garmin you will be very very disappointed. Ambit features are barely on par with polar basics ft80 or rs800cx, or Garmin 405. Now, this not the only things that bothered me. The screen doesnt refresh very fast so you see numbers overlapping each others, duhh …is that for real i just could not believe it, in addition the numbers constanlty move left to right as it align to the rightif a number is bigger then it move left , if its a one then the whole number move to the right!, again this make data unreadable. History is almost none existent , very very basic. I am still discovering features … I will update you soon. – i noticed no auto stop feature like on garmin. Contrast is not great you can change it but still not on par with a garmin or polar. For example the 610 is super super sharp in comparison. This screen lag and ghosting effect is really annoying. Overall you can display whatever data you want but there is bad use of screen real estate. Huge number in the middle…..too big in my opnion, get clues from Polar. -Movescount is not bad, better than Polar but not Garmin the social aspect of it is in fact what Garmin miss dearly, but again, not too many people there so it lack a bit the thriving social hive. On the pros side, the watch looks really good and tough built defintely beat garmin and polar. @anonymous – the display on my Ambit is fine and on par with my Garmin 610. Perhaps yours is defective? With regard to ghosting or other display deficiencies, as I stated, NOT on Mine. I can’t speak for anyone else’s, having only seen mine. 910XT altimeter says I’ve gained 300ft when running along a beach. Suunto has it pegged within 3ft. After a closer look, the 910XT’s altitude error happens during a cool down period at half way where it gained 250+ ft between stop & start in the same location. The weather did not change so the only other variable is body temperature. I know the Suunto is temperature compensated. Not sure about the Garmin or if that is a factor in the error. The Alt error in the Garmin is consistent for several 40 – 60 min beach runs and also runs with a few hills but hills have less error. Its frustrating since I this was one of the selling points for me to buy into Garmin. But for other features, the Garmin excels. The vibrating alarms are excellent. With the Suunto, its a very accurate instrument but its useability for running is inferior to the 910XT. The latter’s display is larger and can fit more fields. I have always had issues starting the Suunto and then finding out that it actually did not start mid way through a race (lacks good feedback with weak/hard to read alert icons). No such issues with the Garmin due to its excellent notifications. Suunto’s heart belt compared with 910XT belt: The Garmin’s latest belt is vastly superior. The big improvement over Suunto is how the belt is connected to its electronic unit. Suunto uses two needle like connectors (i.e. look inside the plastic connector holes to find the needles). Garmin uses large buttons. The latter has more surface area and makes a much better connection (similar to Polar belts). For the Suunto, using gel on the connectors helps but I always found the Suunto belt very frustrating to get it working at least until I sweat a lot. Garmin doesn’t need any such help – works from the get-go with just a little gel on the belt pads. Comparing Movescount with Garmin connect: Movescount has an excellent graphing system which superimposes different parameters (i.e. Altitude, speed, distance, heart rate, etc) onto the same graph and lets you control which one is more visible than others. This is a very useful feature since it lets you quickly see all parameters of interest relative to each other. However, Movescount does not have as many export options as Garmin. But I haven’t found a need for this capability yet. Garmin’s selective privacy options for each run is very handy. It allows you to share a specific run with someone. Movescount requires more setup but allows you to share all your runs with a specific group. Garmin’s method for performing auto calibration of its footpod using GPS has changed with the latest firmware. It used to let me auto-cal during a run and count that duration as part of the history. Now it does not save the run times in the history during auto-cal. Meaning, the auto-cal feature is useless to me since it requires a dedicated calibration run which is a waste of time. Its one of the selling points of the 910XT and now they have taken that away. Still, I prefer it over the Suunto for running or biking due to its more effective user interface. But I am not completely satisfied with it and will keep looking for a better watch to come around. Ambit doesn’t cut it. It seems to have a similar user interface as the T6D with maybe some slight improvements. Plus the heart belt looks exactly like the one from T6D which is a sore point for me. I have spent too much time fiddling with the Suunto watches at the beginning of marathon races and I welcome the start and forget reliability of the Garmin 910XT. is it possible to look the laptimes after i have saved the training unit on the watch? I know i can watch the laptimes on the computer but i dont know if this is also possible on the watch. Wow, I am so happy to have stumbled upon this review- what a great blog! Now, I ended up here because I was googling how the Ambit can calculate the VO2. Can you help to shed some light on this for me? Thank you so much for such a thorough review! Great reviews, made me to buy one. 🙂 Anyone heard anything about the upcoming update scheduled in end of may ? Sent Suunto an email day ago requesting update status, but nothing back yet. Will definitely purchase if they add ANT+. Outstanding review! Thanks so much for taking the time to post such an in depth review! Due to your review I purchased the unit today!!! Thanks and Happy Trails!!! Thanks for the great review. I was comparing 910XT and ambit for a while. Just some questions. Is there any issues regarding picking up the gps signal for the two watches during winter or in the trail/forest. my friend said he would stand outside in the cold during winter with his garmin 310 for a long time to pick up some signal. have you tried the ambit in openwater swim. I know it doesnt have the features of the 910xt, but the gps (distance/route) perhaps? Hi, TVM for the in depth analysis. Does the Ambit pair with Suunto’s GPS pod? Yeah, I know this sounds a bit weird but I already have the GPS pod for my T4d and I can see on a ski trip I might want GPS capability but with a longer battery life, so could just swap in AAAs to the GPS pod and keep on moving…. The watch exceeds any expectation I had, I use it for all my training now and find that I am training more variety of sports now just to test it’s (and my) capability. Thanks again for your great review DC! Could someone tell me if on ‘movescount’ you can get a graph for pace (in min/mile or min/km) vs time. All the graphs that I’ve seen so far have speed but not pace. If you can’t get a pace vs time graph, then that’s a real deal breaker for me with this watch…..
No you can’t. Movescount is simply terrible and very UN-user friendly. You have the graph showing speed in km/h (or whatever you use). But you can see the min/km value by putting your cursor on the graph and it shows you the speed and pace on that moment. So you can get quite a good clue what your pace has been. But thats true, it should be possible to see the pace as a graph. Thank you for your work! Please tell me whether the planned review of the Suunto Quest? Apologies for the Google-translator. Regards, Alex from Ukraine. Just wanted to let you know because of this review I bought the Suunto Ambit! I was wondering if it was possible to change the main display to add another page or something? Also, I charge it via my USB cord proided, but plugged into my iPhone power plug USB, works great. BUT, I am traveling to 220v countries, and was wondering if I needed a converter or something, or if it’ll just work? I have the Ambit and noticed something I felt worth sharing. I did a run on an indoor track and the Ambit tracked the distance and speed very well without any GPS input. I expect it will not work on a treadmill as the inertial motion nets to zero, but I was pleasantly surprised that it gave me such consistent results on the indoor track. Thanks for the review. This, plus the announcement of FW updates this fall to address most or all of your criticisms, sealed the deal for me. I tried the Garmin 610, and it just didn’t feel like it would last, and I’ve found I actually like the movescount.com site better than garminconnect. Wireless uploading would be nice, but not critical to me. I have a question…can i use my strap from my suunto T1 with the ambit? with firmware update coming along for the Ambit … I would like to ask if one could already asses on the difference of the course navigation with the Ambit and a Forerunner. Afaik on a Garmin Forerunner you can have up to 10.000 trackpoints on a course to upload to the watch and follow. What would be the limit on the Suunto. And another question, is there anybody out there using Linux and are there any tools to download/upload stuff from Linux OS from/to Ambit? Just sent an e-mail over to ask if the new update will also increase beyond the 10K trackpoints today on the Ambit. Hello Rainmaker, I was wondering if you know how long is the life of of the Suunto Ambit battery and if there is an easy way to replace it or needs to be sent back to Suunto for replacement? It’s definitely not end-user replaceable unfortunately. All internally locked up. I don’t have a number onhand unfortunately. Most times you hear about 1,000 recharges for this type of device, but again, not sure exactly on this one. I heard that there are a lot of firmware changes at the Sunnto Ambit. One of them is , compatible to ANT+. Can you make a new compar between the Garmin 910XT to the Sunnto Ambit. Once the updates for ANT+ come out, I’ll look at revisiting that. Today, that particular portion of the update to add ANT+ isn’t until November. But fear not, I’ll definitely cover it (I also posted about the update here as well: link to dcrainmaker.com) Enjoy! Is it possible to export exercises in gpx format? Will it be possible to calibrate altimeter with existing waypoints? Are you going to review the garmin fenix? Hi, thanks for the great review. You might have addressed this, but I don’t recall…..but can the GPS be turned off? If so, will the ABC functions still work without the GPS? Thank you so much for such good review. Thanks for your great review – Sorry if this question has already been answered: Is there any possibility to connect the Ambit directly with an iPad like a Garmin with the Wahoo Fitness (even without the ANT+). Firmware update 1.8? is up. Added route visualization (dot map), gps coordinate systems, more languages, GPS time synch, and corrected distance calculations. Just downloaded it, will find out tomorrow what looks/works differently. any update on how well the course navigation on Ambit works? Or what max. track(course? )points are supported per course? DCR, again another fantastic review. On the strength of this I went out and bought the Ambit. First impressions were really good. Feels smaller on the wrist when running and now the choice of two wrist straps means I should be able to get a perfect fit with one of them at least. Movescount website is a bit clunky but I’m getting my head around it and slowly setting the watch up so it displays what I want when I want it. Really think this is going to open up a whole new section of my training. Someone asked this question on the Suunto site. Is it possible for a single ANT+ sensor to work with multiple receivers at the same time? e.g. if I’m wearing an ANT+ heart-rate strap, could I in theory use it with both an Ambit, and also an Edge, at the same time? i.e. do ANT+ sensors just transmit blindly, or is the “pairing” two-way, and once paired a sensor will only work with a particular receiver? Put yet another way: can a sensor be paired with two receivers at once? ANT+ supports this, yes. I routinely do this (almost daily) during product reviews. One HR strap paired to many head units. This is one specific area that Bluetooth Smart can’t do (discussions about it are underwater, but it sounds like it won’t happen till 4.1 or 4.2 – so that’s a ways – like 1+ years away at best, and a hardware change). the Bluetooth LE/smart bit doesn’t interest me too much, as even my relatively recent Note doesn’t support that. Following on from cdmackay’s question, it would be interesting to know whether the planned ANT+ capability supports a combined speed/cadence sensor rather than the separate Bike and Cadence PODs today. I have bikes with the Garmin, Wahoo and Timex combined sensors, and it would be great if my Edge and the Ambit (if I were to buy one) could use the same sensors. Thanks for the excellent detailed review as usual! I have a question that I can’t find answer anywhere. In navigation mode(route & POI), how long would the battery last approximately? 15hr or 50hr? thank you! Suunto posted an updated manual that describes how the Ambit can be used for navigation, uploading routes, etc. I do not see anything, nor have I found any way to see a dotmap aka breadcrumb trail of an activity currently underway but not on a previously uploaded route. In other words, I want to explore, I go for a run, I want to see the track I have been following, realtime, not later on Movescount. This is basic stuff for a GPS (all my regular Garmin GPSs, and the FR 305, but not my 610). For a watch for “explorers”, this should be an obvious need. If the new firmware can do this, I have not figured out how. Somebody please enlighten me, or if it can’t do it, come on Suunto, make it happen! Went through your entire blog entry on the Ambit. GOOD STUFF and kudos on that write up. My question(s): Since the initial write up, have you had a chance to re-eval any of the Pro’s/Con’s of the watch since any of the firmware upgrades to the watch? If so, do you plan on updating any of that info in a blog update or even on here? Would like to see what your thoughst are. Yup, I definitely plan to. My thinking at this point is honestly to just wait a few more weeks for the November update, and then combine them all in one. The major items are coming in November, and I want to get a clean-slate update done for that. Make sense? cant remember wether it was the ambit or the fenix but i think i read that one of them could be calibrated to look for signal at an interval of your choice, rather than the standard every 1 second or 60 second, do you know anthing about this or did i dream up this ? also people are saying that the bezel on the black version of the ambit scratches easily to show a silver base below. what about the siver faced watch, is the bezel any more sractch resistant and what happens when that gets scratched? First of all thank you for your great review(s). As i was planning to get either the Garmin Fenix or the Suunto Ambit i’m glad having found your website. Since my gear used to be Garmin Edge 705 for cycling and Garmin Forerunner 405 for running, which i was/am very happy with! Now i’m looking for an all in one solution. Nor the Fenix or Ambit are perfect in all Sports since missing the Intervall plans and virtual partner. What makes me go for the Ambit now is that i can include all my sports in one gear, even indoor at the gym and keep all organized in Movescount. Any reason buying the Fenix instead of the Ambit? I haven’t tested the battery depletion time during navigation, but here are my observations. After you have selected to Navigate a route, the GPS is continuously on while you are on either a map view page or the Waypoint navigation page (distance and bearing to waypoint). So your position and distances are ‘real-time’. But when you you switch to another data page (e.g. Heart Rate, Elevation, etc) then the GPS resumes the 60sec GPS intervals, based on the GPS icon indicator. So I expect you can achieve >15hr battery life if you don’t need to keep the map/nav pages on the entire time. By contrast, the fenix (so far on v2.70) completely disables the 60sec (UltraTrac) mode when Route Nav is selected, and the GPS will remain continuously on. I can not decide if Suunto t6c or Garmin 910XT, what would you choose and why? Hi, does the ambit provide heart rate zone alarms for when your out of your range? Am i right in thinking that if you dont have the screen showing map/waypoint data and the watch is set to 1 sec gps search then you will get more than the 15hour battery life. I am after a watch to record speed, distance and time for 24 hour mtb races, can the ambit deliver? Can you create a route in mapmyrun, upload it (in GPX or KML format) onto the Ambit, and then follow the route using the watch as a “guide”? Only a one question. Is it possible to add more than one user profiles into one Ambit? I it true that Ambit cannot store more than 15h of 1s GPS fix !?! Was so happy after reading this review, how can be this a trail watch for ultra runners?? What is the storage of Fenix or 910xt? Just got this watch based largely off the strength of this review. Seems like a great, solid unit so far. Just wanted to point out that one of the recent software updates must have added some backlight functionality as my unit has the option to activate and deactivate the light manually. I’m getting my head around the alti-baro functionality as after setting my known alt, I’m seeing a variance of about 11hPa on my baro readout, and if I choose instead to set known pressure, then my alti is out by several dozens of meters… I’m taking “known” pressure from an online weather station located a few miles from my actual location so I’m assuming that’s the issue – have set it based on known alt and assuming the pressure *is* actually accurate. Suunto Ambit software update 2.0 it’s finally available! For Sporttracks users; I updated the (free) Ambit plugin to support the 2.0 firmware. This plugin imports extra datafields such as Peak Training Effect and recovery time, the pod / cadence data (and let’s you choose between GPS- or pod distance data) and makes it easier to import the files. The plugin requires the latest version of Moveslink, but no internet connection is required to import the log data. is there a tool which can convert to hrm, fit or something useable? App Library – this allows Last Lap metrics eg. Previous lap avg speed (km/h), Previous lap max speed (km/h) and much more. Hi great review, I have had an ambit black now for about 7 weeks and have noticed that the bezel (is that what its called) around the face get very easily chipped and marked. It is starting to look quite battered and used already which is quite disappointing for a watch of this price. It’s not from rocks etc being out doors but because I wear it all the time as an everyday watch it gets knocked on door handles etc and bits of black paint just fall off. I door use it daily as a running watch and can’t fault it, in fact I love it but don’t know what to do about the scratching. I will stop wearing it daily until I have a solution. Would like to avoid a but rubber protector as this would make it even bigger! Maybe I need a black marker pen to color in the chips! It’s going to look quite bad in 12 months at this rate. The bezel is made of anodised aluminium, and has been painted black, so indeed, it’s quite vulnerable to scratching. You can get the bezel replaced by Suunto. And as silver version doesn’t have this problem ,maybe get a silver top fitted. I didn’t know suunto could replace it, that’s nice to know. Can the silver one be fitted to a black one, they don’t look exactly the same but if it fitted I would defiantly do that. I regret getting the black one now. Trying to export moves from Movescount, but TrainingPeaks won’t accept xlxs. format – only csv or kml or gpx…any thoughts?! You can export as KML or GPX from Movescount. Thanks for the review.. I’m going to pick one up after the weekend. A nice feature would be to be able to record a move in trail running mode whilst you are also navigating. I have been trying to figure out how to enable this but it does not seem possible. Are there any watches in the market that allow both things at the same time? I oftten go runing in the mountains and I often get lost. Unfortunately, I have to switched off the exercise that I was recording in my Suunto Ambit to find my way through the Ambit’s navigation features. Sorry for the question. I reply my own question. paga 76. “Section 12.6.6. Navigating during exercise” answers my question! I was wondering if that was possible and it is! hi, i found your article from the google, it’s was so good that you fell the SUUNTO Ambit, that is really nice watch from you article i can fell it ,so can you give me some more advice about how sunnto’s waterproof function and how compare with Casio? i usually go to sea have along swim with my casio watch and it never rear watch. iknow some sunnto watch it have broken and can’t waterproofed. Although hardly optimal, it still does the job in most cases. Really hope to see more sports oriented basic functions with next updates. Zones. VO2max calculation. Real intervals (with the option to do ladders, fartlek etc). And such. But the rewiev is not up-to-date…. It would be smart to rewrite some parts since the Ambit had a few updates…. 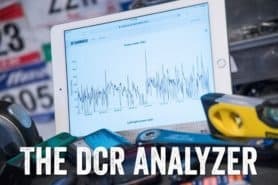 Is there around any quality replacement for DCR? Strange, didn’t think I lost interest. I haven’t yet had the time to update this post yet, though it is on my list. DCR -haters will be haters… love your work. What I can’t find information on is the grid coordinate systems supported. This is a major change from the x10 and was the biggest issue military types had with it, no way to act as a convenient gps or backup. Which coordinate systems does it support? UTM, WGS84,OSGB? About to buy the Ambit and would like to thank you DCRainmaker for the great reviews! Awesome work you are doing. Just a quick question though, do you think there is a new model of the ambit about to be launched? I’ve been unlucky a few times buying products only weeks before a new product life cycle. I haven’t heard of any new units, and I’ve gotta believe that they’ll continue to build upon the same platform for now. After all, the unit’s only been out a year (most units have at least a two-year life). Anyone charged their Ambit over 300 times? It’s been a year, anyone using the Ambit everyday maybe seeing degraded battery life. Just wondering if anyone has sent in their Ambit to Suunto to have the rechargeable battery replaced and how was the cost and experience. I am considering to buy an Ambit, but I wonder if it is possible to get data out of the unit with no access to the internet while being enroute. I would like to get a recorded track out of the unit without having access the internet. In a video they say a 1000 times ! What will happen then ? Anybody know ? Just a heads up to some about KM and miles. As mentioned in the review you MUST check autolap and set your auto lap distance to 1.0 under the settings under the device itself in movescount. What I didn’t know (and it was driving me nuts) is that you have to go to your MOVESCOUNT SETTINGS and change your metrics from km to imperial. I figured this but couldn’t find it. I kept going to the wrong place. I couldn’t find it for a while so even though my watch was set to miles, my workout data was all in km. 2. select PRIVATE>GEAR>UNIT SETTINGS>then seslect the imperial radio button>CLICK SAVE!!! 1. Go to PRIVATE > SETTINGS > MOVES COUNT SETTINGS > UNITS > IMPERIAL > LARGE SAVE BUTTON ON RIGHT HAND SIDE. Done. Most of you probably already had that figured out, but figured I’m probably not the only one….I hope. Great review DC as always! Thanks for the review, which helped me decide between the Ambit and a Garmin. The Ambit is a great toy! Please can you help with something which I can’t figure out. When in the “home page” – i.e. when the Ambit is displaying either time, altitude or compass – and not in exercise mode, altitude is displayed as a small number at the top of the screen, with either temperature or time as a small number at the bottom, and most of the screen is taken up by the graphical display of altitude over past time. I would like to change this to simply display altitude as one large number, without the graphical display. Is this possible? If so, how do I make the change. Many thanks. Great reviews; keep up the good work brotha! I am trying to decide between the Garmin 610 and the Suunto Ambit. In your professional opinion:-) which did you like better? I do mostly long trail running, hiking (not mount everest type mountains), and mountain biking. Also looking to do some ultras this year. Not looking to do tris at this point (so don’t have to have the water proof feature). I really like the touch screen on the 610, but the Suunto seems to have some great features as well. HELP!!!! They’re different watches for different purposes. One has vibrating alerts, one doesn’t. One has barometric altimeter, one doesn’t. One has lots of running specific functionality and features, the other so-so. For you, if you’re doing more long trail hiking and running, the Ambit is probably better. I’m not sure If I should buy this watch or not. A big point is it’s compatibility with Training Peaks. After reading all the comments, I’m still not sure, if I can upload the data to TP or not. I would be very pleased, if someone could give me a clear yes or no. From TP side there is still a clear no. But maybe, someone of you has written a small program or macro, which can transform the data? Any hint or help is appreciated! that ambit 2 is going to be released. Do you have any feedback from Suunto if this is a new model or is it the existing model in new colours ? What about the sw updates of the existing model, any news there ? Sorry all – I’ve got nothing to share at this time. I have recorded serval exercises in my suunto ambit, but the watch still said I have burn 0 calories and the recovery time is still 0 hrs ,even though I have recorded seven activities,.Is there any problem of my watch, or do I have to purchase the heart rate belt in order to get the readings? I live in Turkey and i am a professional windsurfer. I am looking for a watch that can show my speed and heart rate while at sea, and at the same time be a good watch for triathlon practice. Do you know of any watch that you think would suit my requirements? The Ambit would do well there. As would other fully waterproofed GPS units such as the Garmin FR310XT or FR910XT. someone knows if it’s possible to download a app with history. I mean, a summary that shows the details of every single lap and not the entire workout as shown now. 1. Can you use the USB charging cable to supply power when tracking? The X10M will abort a recording if I attempt to charge the battery from an external source such as a Freeloader. 2. When set to recording with a 1s interval, the X10M actually leaves 10s between points. From this review, it looks as if the Ambit doesn’t have the same problem, but I’d like to be sure. Now I’m stuck for a choice between these two and was wondering when we will be getting a review of the new ambit2 and ambit2s from you? Seems like the ambit2 has everything the 910xt has plus a compass, better battery and a cooler design. And if the price indicated on that site is for real well then the 2s-model is no more expemsive than the garmin. Noticed you had nothing to share a couple of weeks ago, but what about now? No, sorry, nothing at the moment. how about the depth meter it is possible? Is this still worthless for triathlon? 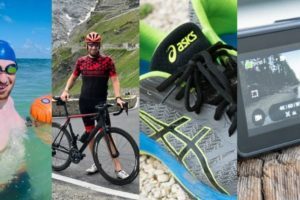 Can you create a multisport app in movescount? I guess I’m (probably not just me ) looking for something that combines the functionality of the 910xt into a watch that I can also wear every day..am I still out of luck? There’s currently no multisport mode in the Ambit. So yup, out of luck today. DC Hi how are you? Hope fine, I wanted to see based on your experience with the Suunto Ambit, if indicated for running and training slopes, prolonged periods of racing. The gps is truly correct in their measurements. I haven’t seen too many issues with distance on the Ambit, nor have I heard of many (or even any I think) complaints. You’re good. I mean it would be a good buy, you think?? The Ambit works well for outdoor sports.?? Yes, there’s no issues there. Most of the review covers all the sport activities, and I didn’t see any glaring issues. ok thanks’ll buy it and I’ll tell you as worked. DC one last question, is easily depainting the cover can really hold their color or black??? I haven’t had any issues with the color on my unit being scratched, if that’s what you’re asking. If that was the question. If the black cover was maintained with time without leaving quickly. And also if the strap is strong and lasting? This isn’t correct, my Ambit stores a long list of past workouts in the logbook menu. Good catch, this was added post-review in a firmware update. Fixed! Hi guys, have you seen the new Suunto Ambit 2? Seems to be really interesting. Incl. swimming measurements and some other features in 3 editions. Yes, you’ll see my full in-depth review here in the next few hours. Just waiting on Suunto to finish their site update that was supposed to be finished 15 hours ago so I could validate all my review pieces against the final production site…sigh. After a Shitstorm of Ambit1 owners on Suunto they came back and said, there will be updates for the original Ambit. Great website. Thanks for the detailed reviews and comparisons. I have a couple of questions and humble suggestions for you. 1. I’m currently in the market for a GPS watch for running, hiking, camping, some biking, etc. It seems like you’re partial to the Garmin Fenix and FR910XT for these activities. Please comment as to whether your opinion / recommendations have changed for this purpose, given the latest firmware updates and announcements. ?? I’m leaning towards the Ambit-1, partially for aesthetic reasons, so that I can wear it as a day-to-day watch. 2. Given the latest update, it seems that the main difference between the Ambit-1 and Ambit-2 is that the former is lacking power meter support, swimming support and FusedAlti. Is that correct? Anything major I’m missing? 3. Now that the Ambit-1 has full ANT+ support, would you agree that it is probably preferable to purchase the non-HR version? That way, we can couple it with a non-proprietary ANT+ heart rate monitor rather than the bundled Suunto HRM. (I’m assuming, of course, that the non-HR version will still work with a heart rate monitor, although this question was not specifically addressed in the review). 1. Again, great in-depth product reviews. They’re a bit on the lengthy side, but I wouldn’t change a thing. Please include a “Contents” table at the top so that we may quickly navigate to an area of interest. 2. Also, please include the weight of the watches in the comparison charts. In my opinion this would fit nicely towards the top in the General section. In your Ambit-2 review you did compare the weight of the 2, 2S and 1, but this data did not make it into the chart for quick review. Thanks for everything. Great site. Thank you for the excellent review! I am in the market for a GPS watch and am deciding between the Ambit 2 sapphire and the original Ambit. I’ve read the opinions of original Ambit owners, but am considering it nonetheless because it is significantly less expensive and I would not fully utilize the multisport features of the Ambit 2. I am a multiple marathoner and thus would fully make use of the running features, but would use the bike features of the Ambit 2 only casually and likely would not use the swim features at all. I have to admit I like the look of the Sapphire more than the original, but can’t justify the added expense for aesthetics alone. Is the extra cash worth it, features-wise, given my needs? I plan to use the map upload feature regularly, so any difference therein would be a balance-tipper for me. Hey Ray, sorry for the “ignorance” but I used to own a very very very old Garmin 201 and it didn’t perform well under trees. I saw the Ambit yesterday, and I’m thinking of retiring my very very very old Garmin 201. I do a bit of trail running and mountain biking, and a bit of city running around buildings. I want a running/cycling watch that won’t need viagra in the shade. Great review. Very detailed and with everything we need to know about the watch’s performance. Since the new Ambit2 was released I can see a little drop on the price of the original Ambit. With that in mind this will very probably be my next sport watch because it is still a very capable piece. Just one little doubt and I hope you can answer it. I currently own a Heart Rate Monitor together with one HR strap (not from Suunto) which has an analogue signal. Do you think I could use that HR strap with the Suunto Ambit or I would have to buy the set Suunto Ambit + HR strap? Is the data cable compatible with the Timex marathin watch – as it has 4 prongs!?? No, very different cables. The Ambit one is much smaller (about 1/3rd the size) and the pin layouts much more compact. i want to know is there a way to force reinstall the fw 2.0.8 of my Ambit 1 ?? ( I found that fw. 2.0.8 is better than the new version of fw 2.5.6), thanks for yr help ! I don’t know of a way, but it’s possible that Suunto support might. Also may want to check the WatchuSeek forums, which may have a way around it as well. You can export out the GPX or KML file, which is a lot less work than going to Excel to get the data points. Thanks for the great review Ray, I’ve had an Ambit for a little while, but I’ve recently added a Garmin ANT+ bike pod to measure my cadence. As a side affect, I was surprised to see that my speed seems to have picked up a bit too, so do you know if the speed on pod takes precedence over the speed measured by the GPS ? Regarding the “one app per mode” limitation for the original Ambit (aka: Ambit1) – there is a way to overome this problem to some extent. Please, check my app which in fact combines 4 apps in 1. link to movescount.com – this app shows you every 2 seconds a different thing: Cardiac Drift, Karvonen HR%, max HR in the current lap, and max speed in the current lap. Have a look at my app – it is easy to rewrite it so that it combines some other maps that you need. You can also drop me a msg – I can write an app for you if you have a great idea and don’t fancy wirting apps. Hi, May I take you up on your offer ? 🙂 I tend to use my original Ambit for biking and follow routes that I’ve uploaded to it. A really useful feature would be to be able to see the remaining distance and time (based on average speed) to the next waypoint or the end of the route. I’ve seen a couple of apps that show the distance to the next waypoint, but these all seem to be “as the crow flies” rather than following the route. It would be excellent if there was an app that alternated between 2 screens – the first showing distance to next waypoint / end of route and the second showing time to next waypoint / end of route. Great reviews DC, keep it up! You’ve helped me settle my dilemma on which GPS watch to buy. Ended up with a Suunto Ambit and loving it so far. I have a question though and wonder if you can help. I’m trying to change the “activity summary” info on my Ambit. i.e the info that gets shown at the end of any activity and gets stored in the logbook section. At the moment it shows the same info for all activities (pg1 activity, time, date. pg2: duration, dist, no. laps. Pg3: asc, desc, ave spd mph). For running I would like it to show “Average pace” too. I’ve had a look around in the Movecount customise section & while I can add new details that show while I’m doing the activity, I can’t see any way to add this to the summary screen. Any ideas? Unfortunately, I don’t think that summary screen is customizable. Sorry! Hi, anyone knows if the paint on the ambit2 s (green or red bezel) has damages if it has scratches and others, as in the case of the ambit? Or the color of bezel resists forever? Is it possible to meassure deep with this type of SUUNTO and if it possible what is the biggest deep. I am looking for a watch for running, cycling, and mountaineering. Since I am doing log distance cycling, I want a long battery life, although for multiday ventures, I will be carrying a USB-battery. I cannot see too many reasons to go for a Ambit2 vs the discounted Ambit for my purpose. Except maybe for the fused altimeter, but to me it doesn’t seem to be worth the extra cash. Am I missing something? The critical issue is memory capacity for me: I am worried that multi-day recordings will excedd the memory, since I will not have a computer with me. I have read contradicting statements as to how long the memory will last (with regard to the 1s/60s saving intervals). Do you have any better data on that? Due to your in-depth review of the Suunto Ambit2 I purchased one and it has made me look at the way I train in a totally different way, many thanks. I was training at the same pace each time I now realise, from the Suunto, that I wasn’t giving my body enough time to recover. I have now purchased a ANT+ 2 in 1 digital sensor device from Giant. I can get the speed sensor to pair with the Ambit2 and so record the data but have not been able to pair with the cadence sensor, have you come across this before in your testing, if you have so is there a workaround you are aware of please. 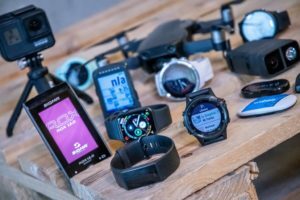 Working in a store that sells Garmin, Suunto, Timex, Polar means that I have sent many customers to this site to read your reviews before making their purchasing decisions. (I have also suggested that they follow your links and purchase there if the price is better.) Surprisingly, I have also sent a a rep from one of the companies to this site since his product knowledge seminar was incredibly lacking in knowledge. Thanks for all your hard work. Also working warranty/returns at the store, I can say from numerous experiences with Suunto that their customer service is fantastic. Perhaps a bit slow on the return but otherwise great to deal with. Again, thank you. Take care. I have an Ambit 1, great watch and very reliable. When I use it on multiway treks, I stop the watch at the end of each day and start the next. I would like to join the days together on movescount to give one single track with combined stats. Can anyone let me know how to do that. Also is it possible to delete a section of a track where I have inadvertently left the watch recording. Bought a Suunto Ambit (1) early this year and I really like it. Except for one thing – when starting open water swimming with the watch this summer it really gave me strange readings for distance (too long). I e-mailed with the Suunto customer service and their reply after looking at my data was: “Please be informed that such deviations are due to temporary bug in our software. Our technicians are working on the solution to it. Meanwhile we recommend using “Pool Swimming / Indoor Swimming” mode where distance is calculated from wrist movement instead of GPS. We apologise for the inconvenience.” I havent tried using the indoor swimming mode while swimming – but thought that the Suunto Ambit did not use/calculate wrist movements? They’re confused. The Ambit1 isn’t designed for swim tracking (or triathlon), only the Ambit2/3. Thanks – thats what I thought – before these problems I was thinking of upgrading to the 2/2S or mayebe even to the 3 – but then the OW swimming mode must work…. Great review – really appreciate the time you took to detail every feature/option. I purchased an Ambit2 and took it out of the box yesterday. First trail run planned today. I’ve been playing around with the apps, and customizing the sport mode screens. Is there a similar way to customize the general screens? Specifically I downloaded a sunset/sunrise app, and would love to have that data available on one of the main screens (without having to be in a specific sport mode). Do you have any suggestions? Great review as always. Unfortunately the chief reason – other than the watch looks cool – was to use it for swimming. I swim 1500 meters 2-4 times a week in a 50 meter pool and the Ambit 2 has not recorded the distance correctly, except once over almost 100 swims! The thing is my cousin has a Ambit 2 S and my brother the Ambit 3 Peak and they report the same exact problem, except the Ambit 3 Peak is off by the most. This is quite odd, especially since my brother and I used to be on a swim team and hence our stroke is technically quite good and we swim almost exclusively breaststroke (my cousin swims freestyle) for the entire distance. We all use the same olympic pool. I just find it depressing that a 600 euro watch can be wrong every time. For us the whole point with the watch during swimming is that one does not need to keep counting laps over long swim swims, it should liberate and not cause doubts. Hi, I have a trouble with my anbit. 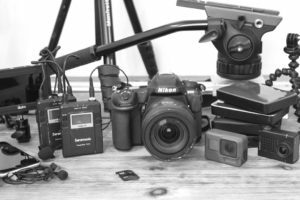 Do you know the best way to record multi day hikes as one single move? Is hitting pause the best way between days or can you start up a saved move and continue on? I’ve had an Ambit mainly for hiking, climbing etc, for 2 years now. I’m just getting into cycling and want to buy a cadence pod. I see in the release notes release 2.0 now supports ANT+ . My question is that the firmware 2.0 or the AMBIT 2? PS I totally love your review – you have covered EVERYTHING well done.